Contest has ended Winners Posted below with top winners crossword. Aye, t' be a crosswords. 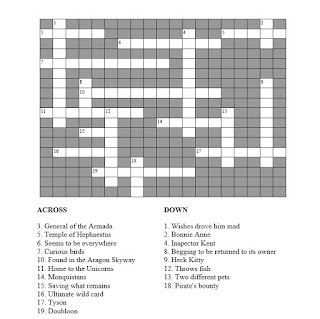 All you have to do is fill out the crossword puzzle. How many can you get right? *Fill out the crossword puzzle and send it in. *You can use any form to fill in your puzzle , Paint program was the easiest to use for me. 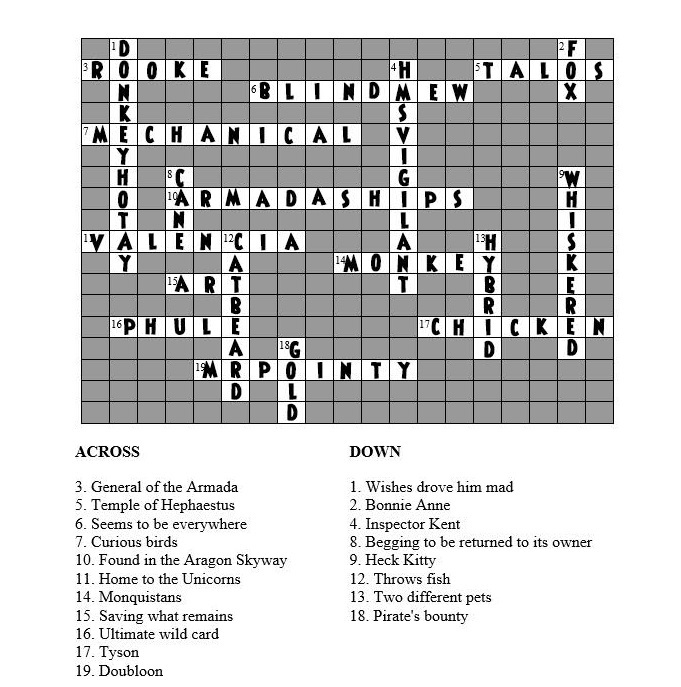 *Please make sure you add as attachment when sending in your crossword, no links will be approved. * Do ye best , Pirates this is an random draw type contest, prizes below. * Contest runs from May 5, 2016 to May 20,2016 4 pm Us Central time. If everyone answers all correctly you will be entered into all drawings, though you may only win once.